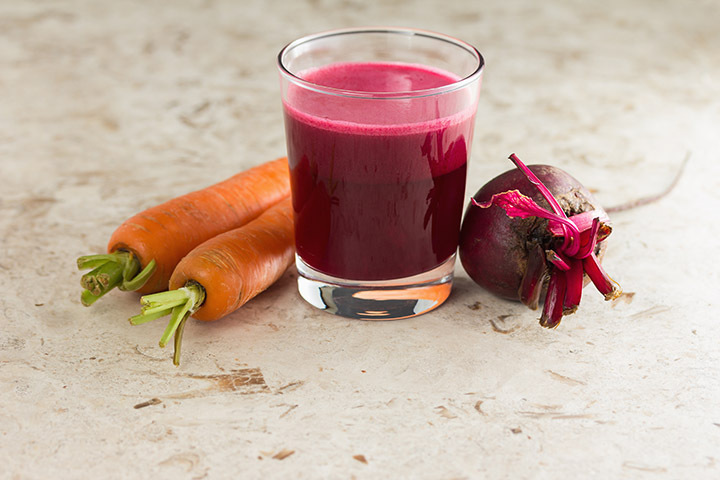 Both beetroot and carrots are superfoods that prevent inflammation in the body, regulate gut health, and speed up the metabolism, thereby helping in smooth fat-burning. Add 2 medium deseeded and diced apples, a handful of spinach. few pineapple pieces- with 1 Avocado.Blend in a mixer. 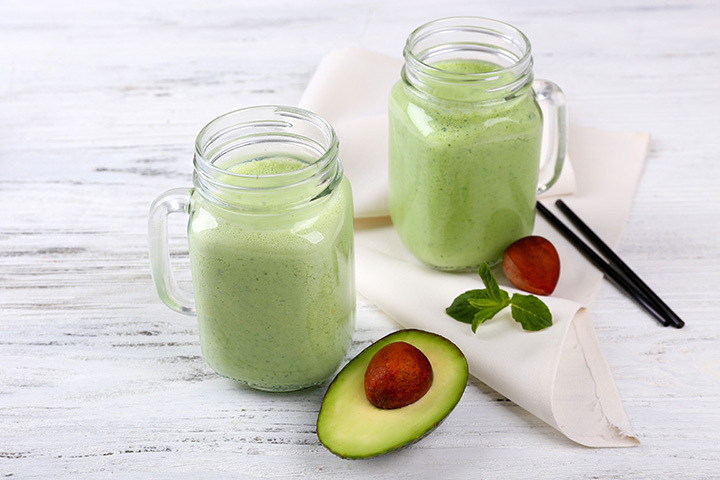 A fruit with healthy fats that contains vitamins, calcium, iron, and fiber, Avocado juice will sure help you shed extra fat smoothly. A 50 g serving of an Avocado contains 80 calories, so it can definitely be a part of your weight-loss diet. In addition, this fruit contains 75% of unsaturated fat and is sugar-free. Its regular intake will flushes out toxins, controls inflammation, aids digestion and reduces cholesterol. The potassium in Avocado helps in replacing the electrolyte content of the body and attributes to the building of muscles. You can add apples, pineapple, and spinach to the juice. Juicing an avocado is tough, also, these fruits and vegetables also add to the taste and the nutrition of the juice. 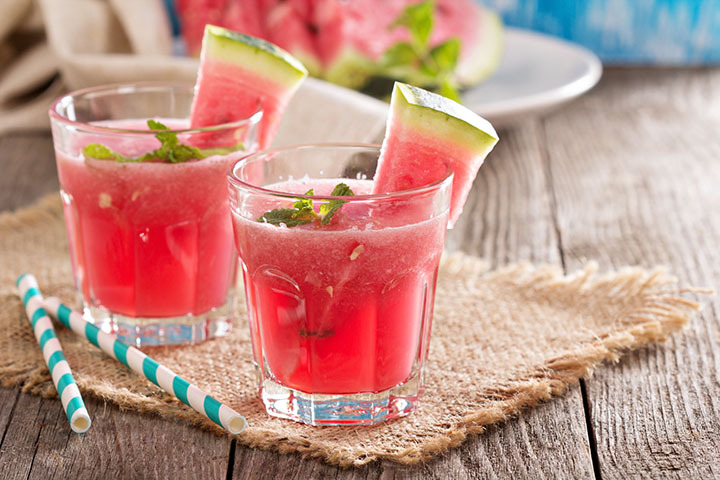 Add some mint leaves and ice while blending the watermelon pieces, it tastes simply divine. One should remember that it is important to keep yourself hydrated while exercising/gyming for losing weight. Watermelon has an immense water content which supplements the body’s hydration levels. Its high dietary-fiber will keep your appetite satiated, and amino acids which further quicken weight loss. It provides only 30 calories for 100 gms of consumption. Place the pomegranate seeds in a blender and blend well. 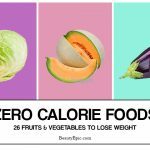 You can also add other fruits like oranges and grapes. Do not add any sugar. Pomegranate has antioxidant properties that boost metabolism and promote weight loss. 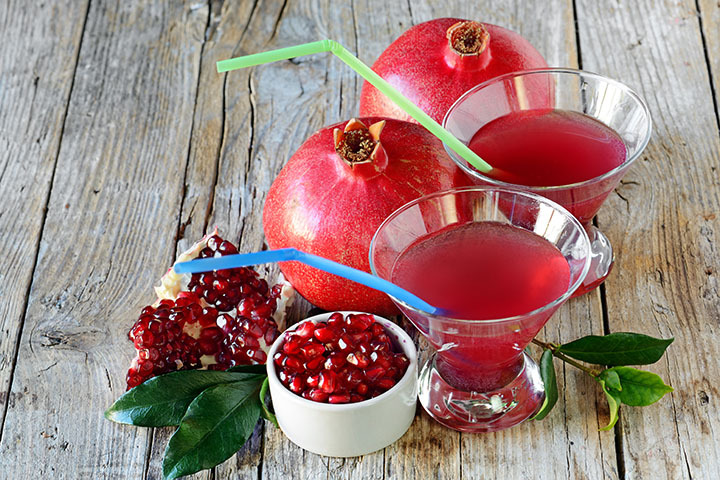 About 8 to 12 ounces of pomegranate juice is the recommended daily intake of this juice. Consume this fruit juice for keeping your appetite in control. Remove the outer skin and blend the pulp in a mixer. 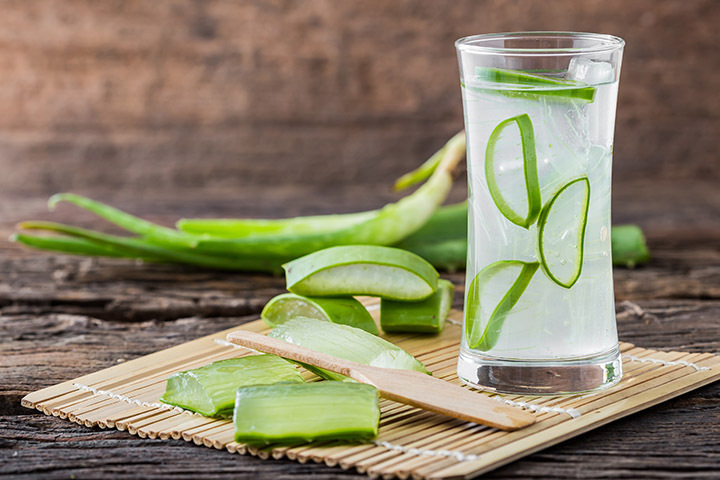 From skin, hair, to the body, Aloe vera juice is beneficial for all body functions. It aids digestion, prevents constipation, and removes the toxins from the body, thus, providing momentum to weight loss processes. use all parts of the vegetable for the juice. 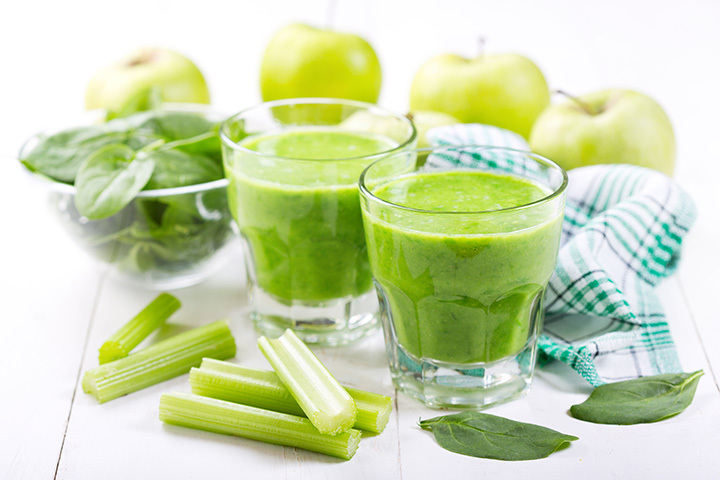 Drink sixteen ounces of celery juice( one bunch) every morning for revving up your metabolism. Celery juice heals the body and strengthens the bile, which in turn, breaks the fats more efficiently. Add apples or cucumber if you do not like the taste of plain celery. Freshly squeezed juice from the leaves, this plant has a bitter taste, yet great health properties. You can make cocktails by adding other nutritious vegetables or drink this juice as a herbal tea. Bitter leaf juice is not used as a substitute for the regular diet. Just add this juice to your regular eating regime for better health and speedy weight loss. 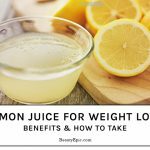 This juice is great for women who are trying to lose weight without disrupting the normal processes of the body. 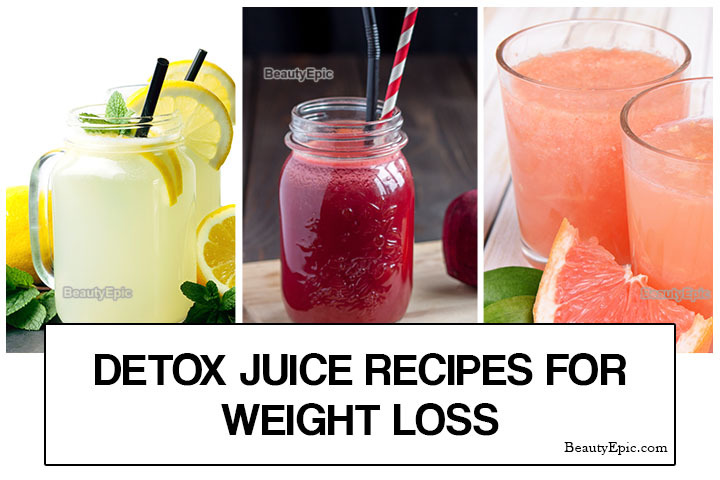 By drinking this juice, your body will detox regularly, eliminating all fats and preventing accumulation of previously deposited fat in the body. 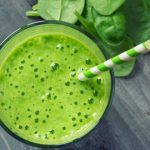 Bitter leaf juice revs up the metabolism and aids in weight loss. Fresh, rejuvenating, and tangy, lemon-based juices never go out of style! Add some rock salt and honey to lemon water and drink up for good health. 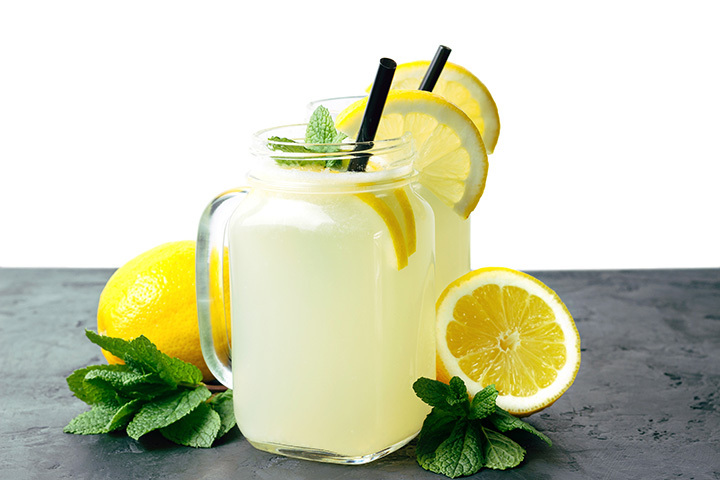 Drinking warm water with lemon juice is a popular way of kickstarting the day as it keeps the body hydrated, boosts the metabolism, and reduces inflammation in the body. Lemon is a powerhouse of vitamin C that boosts the immune system, burns body fat, and keeps hunger pangs in check. For people who weight above 150 pounds, they can drink the same amount of lemon water for weight loss, in a day. Some people like to drink lemon water and night and go to bed. This way, it keeps their body hydrated and also fights toxins that accumulate overnight. Or, squeeze a whole lemon in 32 ounces of day and sip it throughout the day. 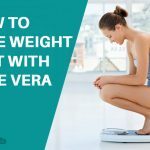 Apart from weight loss, you will also feel more energetic and your skin will glow with the cleansing process. A tasty juice that will also help in melting all your excess body fat. You can add some carrots and ginger while blending the fresh grapefruit in a mixer. 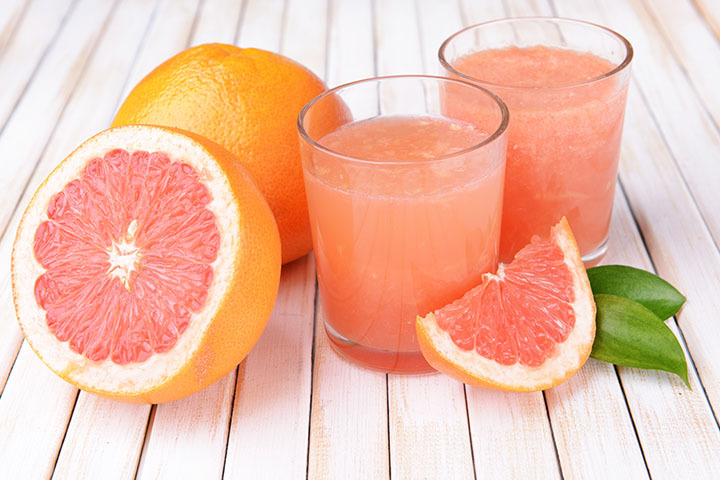 Studies suggest that drinking fresh grapefruit juice helps in losing weight, controls the blood sugar levels and boosts the metabolic rate of the body. Drink the grapefruit juice 20 minutes before every meal to curb the appetite. 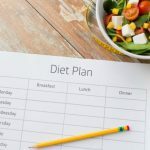 In a study conducted in the Vanderbilt University, people who drank grapefruit juice or ate grapefruit 20 minutes before a meal, ate less as their hunger cravings were in check. Grapefruit averages at 100 calories per 8-ounce serving. Note: Grapefruit juice can interact with certain medications, hence consult your doctor before starting the grapefruit juice diet regime. Rinse and peel a fresh bottle gourd. Cut into pieces and blend in a mixer. 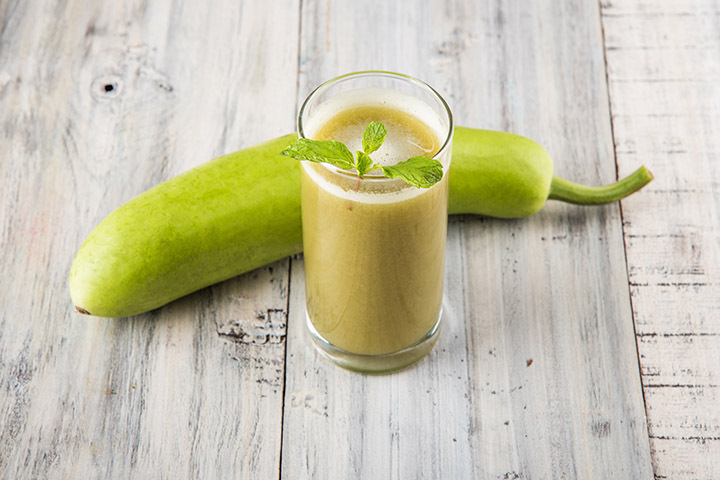 Lauki or bottle gourd contains 96% water and hence, is a great ingredient for juicing. This vegetable is low in calories and is known to curb the appetite. Moreover, Lauki is rich in zinc that regulates the hormones while you are trying to lose weight. It contains both soluble and insoluble fiber which provides roughage to the body and prevents constipation. Lauki is also rich in potassium, iron, vitamins, and minerals that add the required nutrients to the body when we are exercising and maintaining a strict diet regime. Fresh fruits and vegetable intake is essential for maintaining good health and keeping the body in shape. 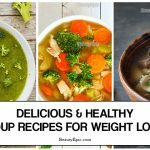 And if you are trying to lose weight, drinking the juice of these healthy veggies and fruits will detox toxins from the body, initiate the metabolism, and keep you full for a long time. Take care to drink only fresh juices as the canned varieties have added sugars and preservatives which will hamper your weight loss efforts. Apart from smooth weight loss, these juices also give you glowing skin and an overall body healthy.